Jackline was one of the first five children sponsored in our program, beginning late in 2006. She graduated from high school in 2012 with a composite grade of D-. Although her marks were low, Jackline has an effervescent, optimistic personality and she had hope for a brighter future. Jackline’s mother is alive but is HIV+ and has been very ill. As a result of her illness, Jackline didn’t live at home during her eighteen months of post-secondary education. Her sponsor paid for her to stay in a dormitory at the school she attended. 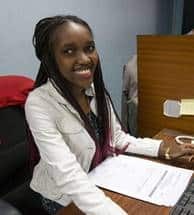 In November 2014 she earned a diploma in Front Office Management and shortly thereafter began working as a receptionist intern for Ngong Road Children Association and Karibu Loo. We have many visitors to our offices including some expats who work as volunteers. 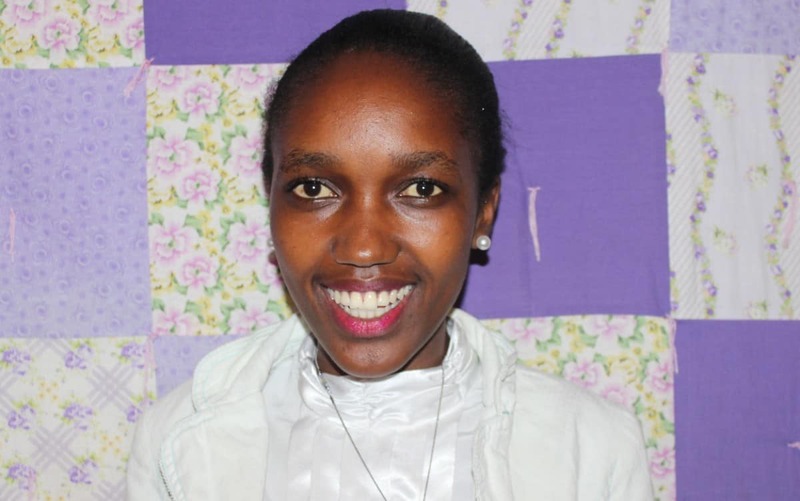 In May, 2015 one of our regular volunteers, Chris Adams, told NRCA’s director that she was very impressed with Jackline’s skills and asked whether he would agree to have her interview for a job at the company her husband leads in Nairobi. Bimeda is a privately held veterinary supply company based in Ireland and distributing products throughout Kenya. They had an opening for a Customer Care Representative. Chris coached Jackline on interview skills and she went through the interview process. Today Jackline has full-time employment at Bimeda as a Customer Care Representative. With this job, Jackie has moved into Kenya’s middle class. She said, “I am so excited to be part of the international business world. 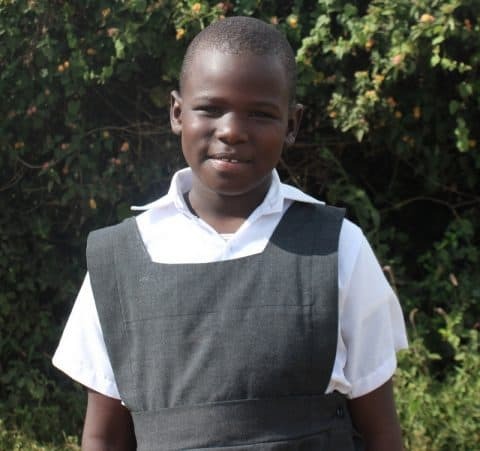 I am looking forward to becoming a more and more valuable employee to Bimeda.” By investing in Jackie’s education, providing ongoing support through the difficult times in her life and by helping her prepare when opportunity knocked, Ngong Road Children Association and her sponsor have helped her transform her life. A very noble move to give hope to the hopeless. May the Almighty bless you abundantly. I grew up with her and seeing her grow to become who she is now is all but a blessing.